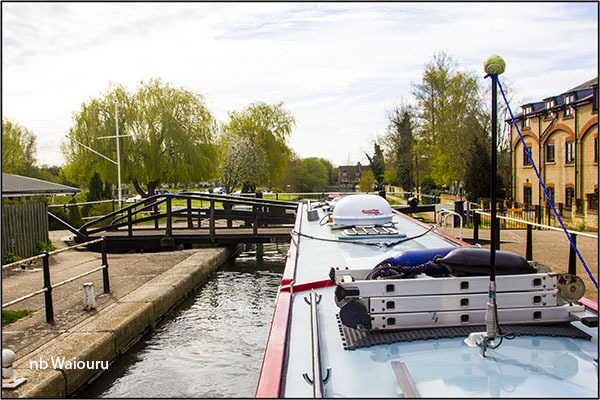 It was 8am when we quietly slipped away from our mooring in Hertford trying not to disturb our neighbours. A brief stop at the Hertford facilities to dispose of the rubbish and top up the water tank. Good water pressure here which made it a quick operation. Jan took the opportunity to put on a load of laundry. An odd looking house on the way out of Hertford. OK it must be fair season around greater London! 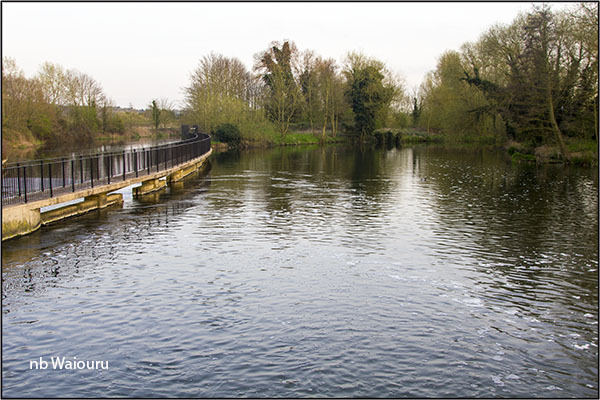 The River Lee is deep and Waiouru made a quick passage back to Ware. It’s interesting how you notice things when going in the opposite direction. 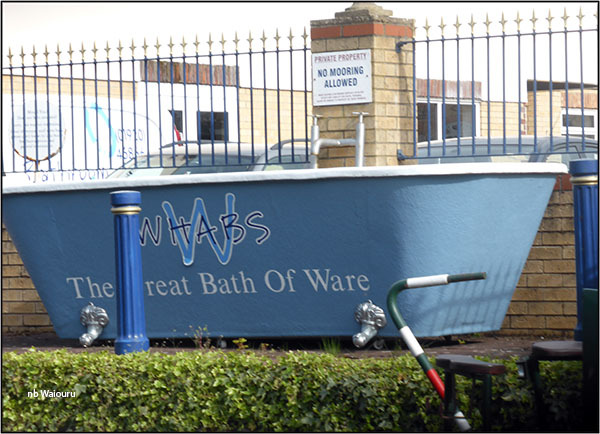 On the way back we saw “The Great Bath of Ware”. In 1580 a local carpenter made a huge (10x11 foot) bed which could reputedly accommodate four couples. It became known a “The Great Bed of Ware”. The bed remained in Ware until the early 20th century when it was acquired by the Victoria and Albert Museum in London. Obviously the local plumbing outlet has made a play on the name. The gates were open at Stanstead Lock and we cruised straight in only to discover the lock appeared to be considerably shorter than I remembered from our trip up three days prior. Jan was already off Waiouru when I realised the road swing bridge across the lock was still in place. Jan managed to quickly solve that problem and we continued south to the junction of the Lee and Stort. There is a large weir here and a slight kink in the river whilst getting around. What a change in scenery. We have gone from wide open river and long straights to a narrow and twisting course with overhanging tree. It’s very rural and you might even imagine this is how it looked when the Vikings were exploring the area during a raid. 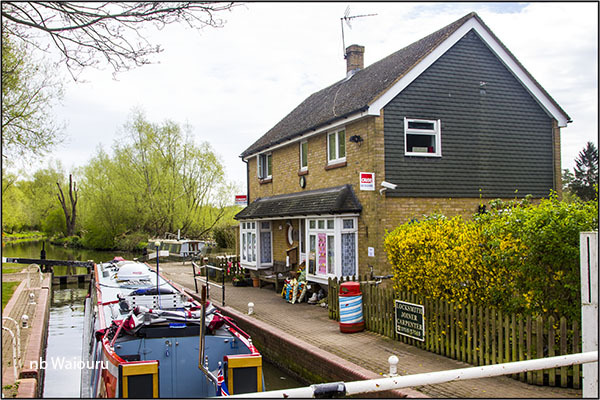 We passed a small white cottage beside one of the locks. 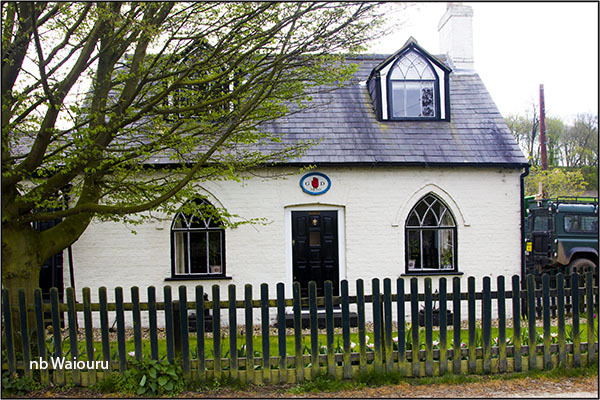 Nothing particularly exciting about the cottage but my interest was pricked by the plaque above the door. 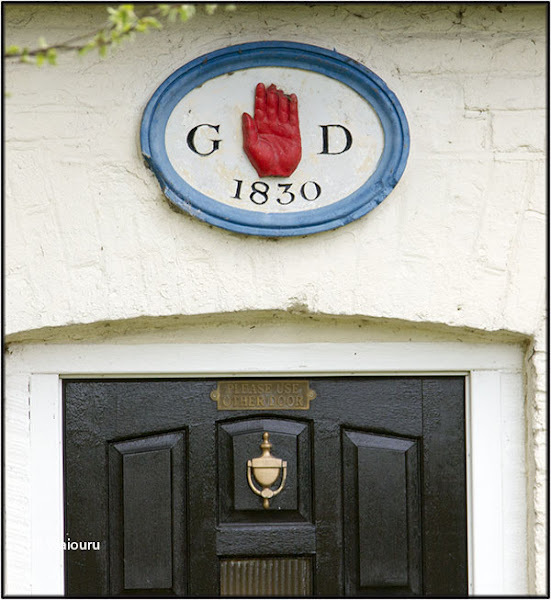 A red hand with the initial GD and date 1830. So research was subsequently required and it proved to be quite interesting. 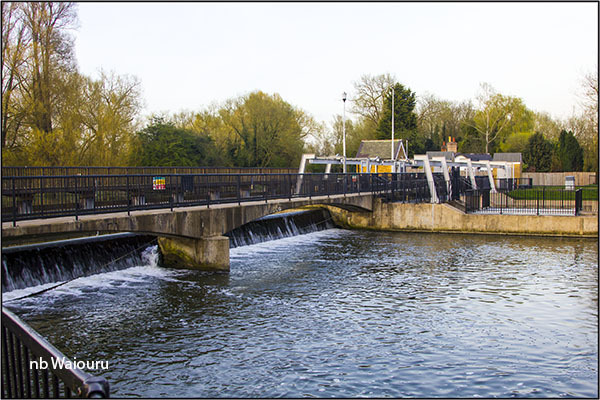 In 1759 an Act was passed by Parliament allowing for the River Stort to be made navigable from Bishop Stortford to the joining of the River Lee. The commissioners failed in their attempt to raise the necessary money for the project and a second Act was subsequently passed by Parliament in 1759. The new commissioners were Charles Dingley, George Jackson and William Masterson. 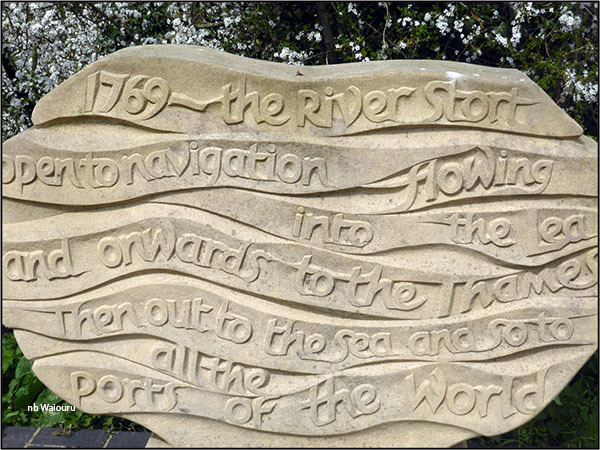 They were successful and the navigation was completed in 1769. Planning and survey work was completed to join the top end of the Stort to Cambridge but this never progressed further. One of the commissioner, George Jackson, remarried Grace, daughter of George Duckett MP. By then he was already well connected being a former deputy secretary to the Admiralty and Judge Advocate to The Fleet. He was a friend and patron of Captain James Cook and Cook honoured him by naming Cape Jackson in New Zealand and Port Jackson in New South Wales (more commonly known as Sydney Harbour). When his second wife’s father died he assumed his name and title as part of the terms of the former’s will. So George Jackson became Sir George Duckett, 1st Baronet. The Red Hand and the GD are the link to George Jackson one of the first commissioners. In 1832 the bank that Sir George Duckett owned failed and he was declared bankrupt. So ended his involvement with the Stort Navigation. CRT contractors were busy repairing the reverting by the towpath below Roydon Lock. CRT appear to have a number of different reverting methods. This version involves spaced steel piles with timber plank infill. It doesn’t appear to be a method with a long life as the timber will rot. I would have thought concrete panel infilling would have been a more permanent solution. The bucket is being used to press the planks down and then the top plank is secured with a bolt at each end. 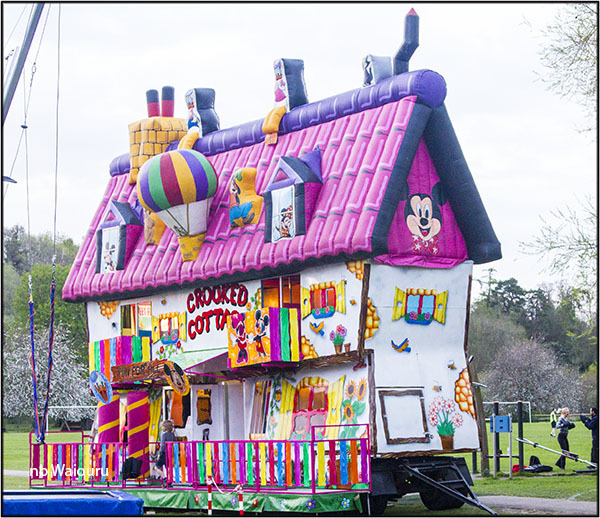 The owner of the cottage at Roydon Lock appears to be very entrepreneurial. I guess he has a thriving trade in ice cream during the summer and survives on supplying boats with coal and gas during the winter. 1769 the River Stort open to navigation flowing into the Lea and onwards to the Thames then out ot the sea and so to all the ports of the World. 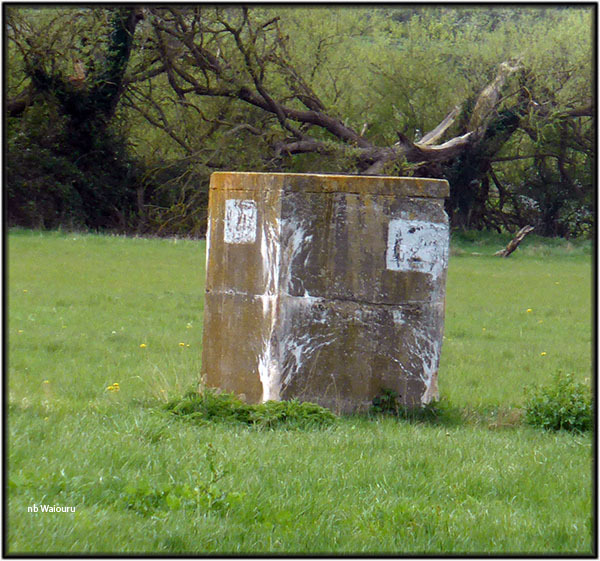 As we reached the southern approaches to Harlow we noticed a straight line of concrete plinths (foundations?) in the water meadow adjacent to the river. They are approximately 1x1 metre square and 1.2m high spaced about 200m apart. We have no idea what their original purpose was. Do any of our readers know?????? 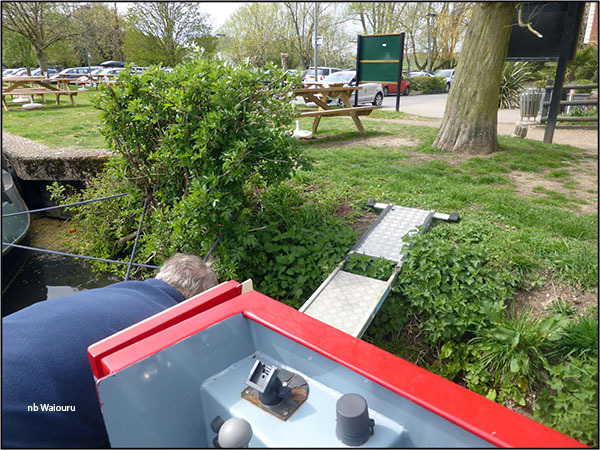 All the designated CRT moorings in Harlow were occupied but eventually we managed to squeeze in outside the Moorhen pub. Jan managed to convince a fat old grey haired man to deploy our three fold aluminium gangplank. 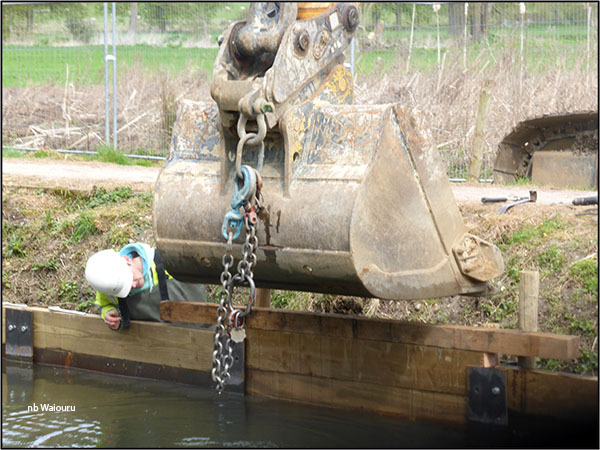 It’s the first time we have had to use the plank since leaving Aldermaston three years ago. They are solid and too small to be pillboxes. They are also too far apart to be a tank obstacle?